Patented Creatine HCI, exclusively available from Kaged Muscle, is protected by 4 patents (8, 962, 685/8, 354, 450/ #8,026,385 / #7,608,641). 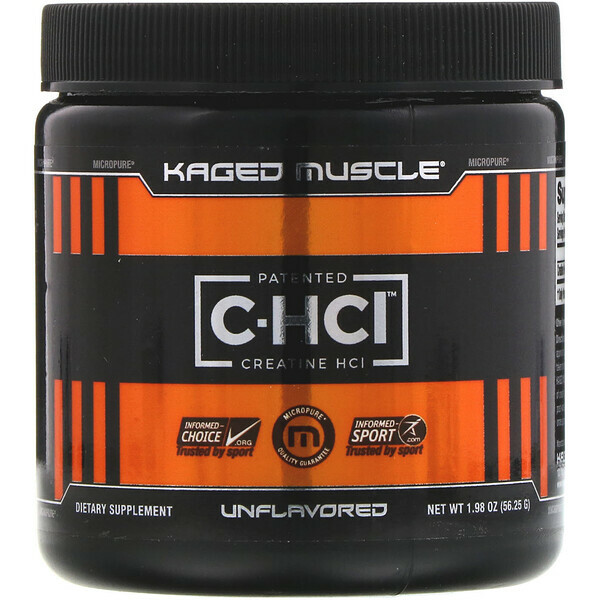 Kaged Muscle Patented C-HCI is the original. Your body deserves the best. Know the difference! 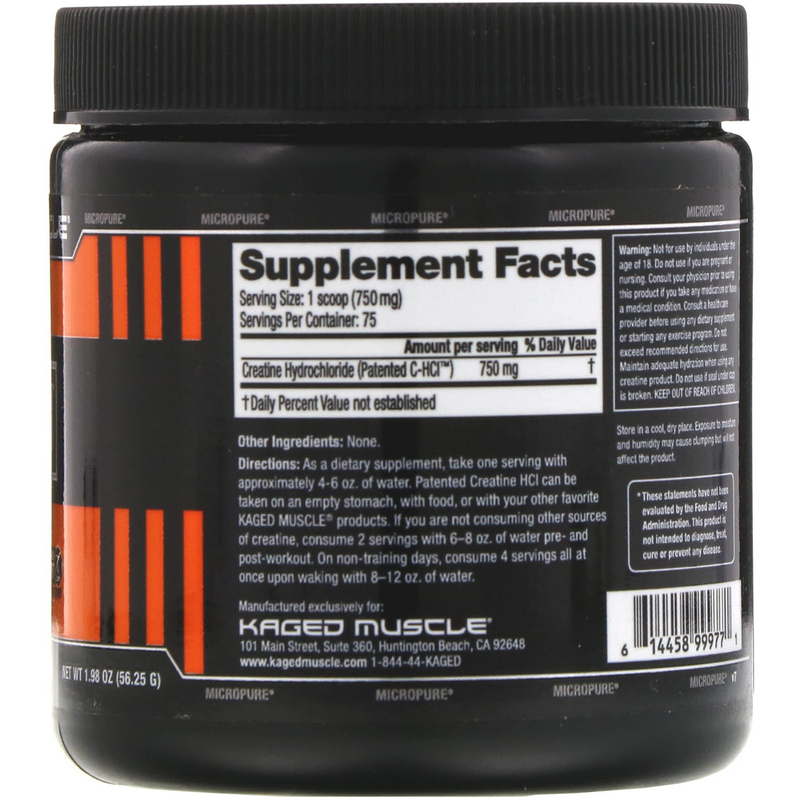 Why Kaged Muscle Patented C-HCI? Micropure Quality Guarantee. Each product is third party tested for purity and potency. As a dietary supplement, take one serving with approximately 4-6 oz. of water. Patented Creatine HCI can taken on an empty stomach, with food, or with your other favorite Kaged Muscle products. If you are not consuming other sources of creatine, consume 2 servings with 6-8 oz. of water pre-and post-workout. On non-training days, consume 4 servings all at once upon waking with 8-12 oz. of water. Not for use by individuals under the age of 18. Do not use if you are pregnant or nursing. Consult your physician prior to using this product if you take any medication or have a medical condition. Consult a healthcare provider before using any dietary supplement or starting any exercise program. Do not exceed recommended direction for use. Maintain adequate hydration when using any creatine product. Do not use if use seal under cap is broken. Keep out of reach of children. Store in a cool, dry place. Exposure to moisture and humidity may cause clumping but will not affect the product.